I’ve always been a mystical, spiritual person with a deep respect for all life forms. However, meat eating seemed like such a natural and integrated function of society that I never really considered giving it up – at least not while I lived a work-a-day urban lifestyle. Wasn’t it true that our ancestors in the ice age had to eat meat to survive? And wasn’t it true, as scientists tell us, that meat eating contributed to, if not actually caused, our brain’s dramatic growth, thus making us a dominant life form? 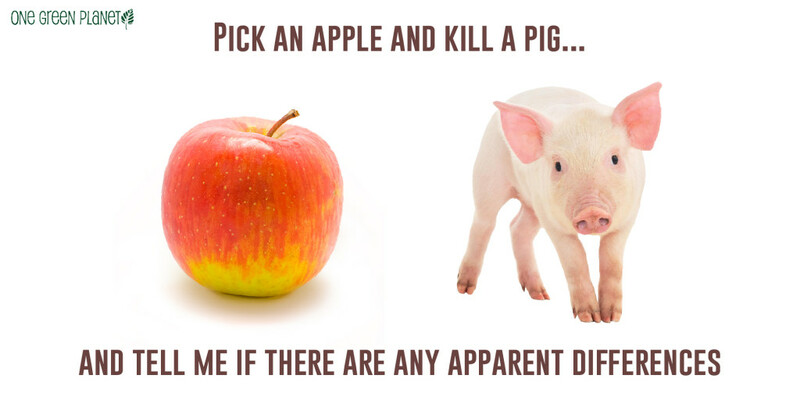 Other animals eat meat and humans are just animals so why shouldn’t we eat meat as well? And then there is the fact that plants are living things too – so why would it be ok to kill and eat plants but not to kill and eat animals? There are a lot of interesting questions that can be raised around this subject – I admit, however, that I didn’t really think too much about them. I just did what everyone else did around me. Meat eating was, and is, a highly convenient way of life. Meat is available everywhere and society strongly encourages its consumption. 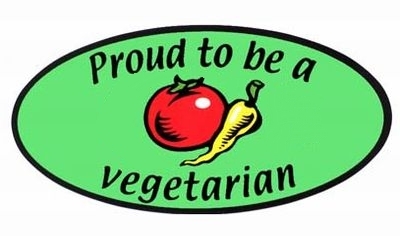 As I grew older, I became aware of certain health concerns around meat consumption – mostly related to the various additives, hormones, steroids and whatever else was used to turn animals into efficiently processed food products. And I found that there had always been health concerns associated with excessive red meat consumption. So I cut out red meat and most pork products and stuck to only lean chicken and turkey breast. I’m not convinced my health measurably improved with these choices. 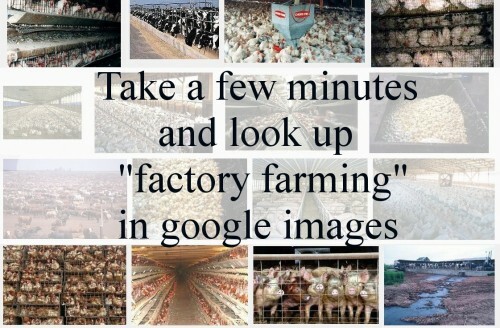 Over time, however, I became aware of a much more serious issue – the “factory farm industry.” I watched several videos that exposed the rampant abuses of these food production businesses. Seeing the way animals were treated in the name of profit margins deeply upset me, and I determined that I would not support these industries at all. That’s what finally made me decide to change my diet. I didn’t become a vegetarian for the sake of my health, but for the sake of the health of the cows, pigs, chickens and other animals horrible abused by the State sanctioned factory farm industry. At first I was somewhat ok with people who raised food in what might be termed a more humane manner – and even with some hunters who actually ate what they killed. I thought at least in these circumstances the animals had a bit of a normal life before meeting a swift death. But I have come to realize now that there really isn’t any right or humane way to kill something that doesn’t want to die. 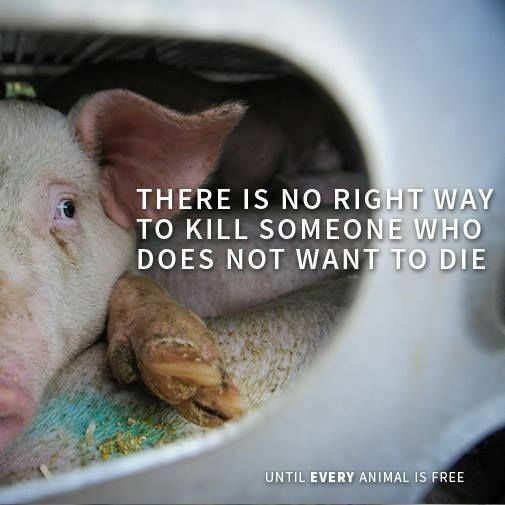 And animals, like people, don’t want to die. It’s safe to say, I think, that people online are not living in the ice age or in a nation that is so desperate for food that almost anything is consumable. We are living in the 21st century, in a fat, rich nation. We have choices. Humans are probably omnivores, meaning we can eat a lot of different things. And as omnivores eating meat is not an obligation it is a choice. 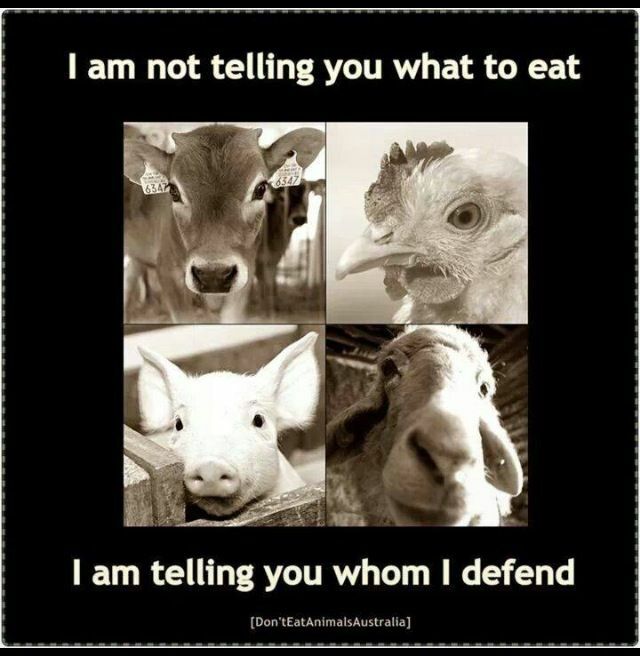 For myself I choose to refrain from eating animals and animal products out of regard for their suffering. 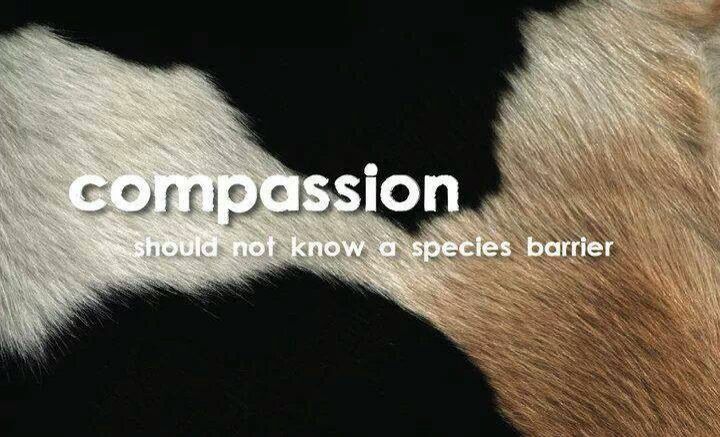 It’s a matter of compassion. This choice works well for me based on my observations of the world, but also with my long established mystical and spiritual sensibilities.